Southwark Council has bowed to developers’ will and restricted public access to financial viability appraisals of planning applications. Instead of being published when planning applications are submitted, the appraisals will be published just one week before the planning committee takes its decision. The changes were made following pressure from developers, who have long been using these appraisals to reduce the amount of affordable housing they have to build. 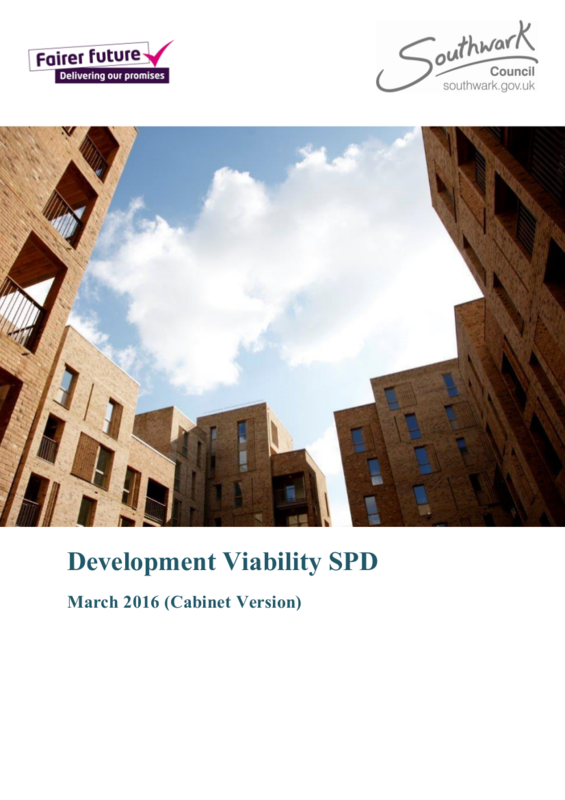 Last year Southwark was shamed into a promise to publish viability appraisals following the revelations in Lendlease’s viability appraisal for its Heygate redevelopment. Released after a 3 year legal battle, this showed amongst other things, a 25% profit level despite 20% being stipulated in the Regeneration Agreement for the site. The restriction is revealed in the small print of Southwark’s new planning guidance, the Development Viability Supplementary Planning Document (SPD). It says that the appraisal will be published along with the officer’s report for the planning committee 7 days before an application is heard. This is well after formal consultation on the application has ended and well after the council has made up its mind whether to reject the application or recommend it for approval. Developers have reacted furiously to the SPD and the restriction follows to the letter the proposal made by Lendlease, that the viability appraisal ‘should be for information only and not subject to formal consultation’. Lendlease also managed to persuade Southwark not to publish the Council’s review of viability appraisals until 7 days before the planning committee hearing, another delay that will deny public access to important planning information about viability. Instead of the full appraisal an ‘executive summary’ will be published at the beginning of consultation, along with the other planning documents at validation stage. The summary will be confined to the ‘key conclusions’ (DVG5) and while this is valuable information it doesn’t allow any interrogation of the headline assumptions - the devil is in the detail. 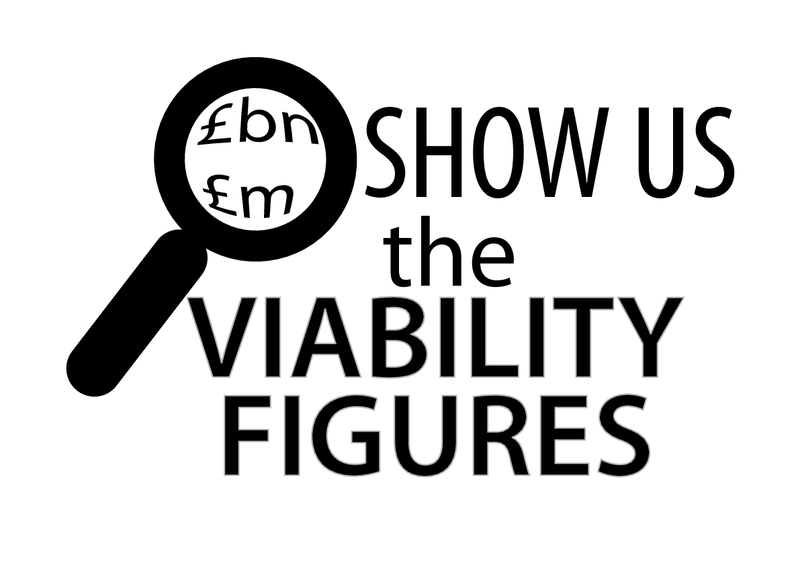 It also omits the key assumption; the viability benchmark value - this is figure against which viability is determined. Lendlease also strongly objected to the SPD’s proposals for viability review mechanisms, which would help claw back value should schemes turn out more profitable than first predicted. It argued that these were particularly inappropriate for ‘long term multi-phased regeneration schemes’, which is unsurprising given that there are still three phases of ‘Elephant Park’ (née Heygate) requiring planning approval. Lendlease says ‘our view is that viability review mechanisms should only be applied to these schemes if significant time elapses between approval and any substantial commencement’ - a condition easily met by simply sticking a shovel in the ground. Southwark sticks to its guns on the need for review mechanisms, but leaves open the timing of reviews for multi-phased developments. Southwark says that all planning applications for developments that require affordable housing will have to submit a viability assessment and that they will all be made public, but the SPD skips over what happens if a developer wants to reduce the affordable housing after planning approval. They can do this with a so-called Section 106(A) application or a Section 106(B) appeal. Neo Bankside did this six times, successfully reducing the number of social rented homes from 94 to 62. Any such S106(A/B) applications need to provide a new viability assessment, showing that the approved scheme is no longer viable. Southwark says that should such an application be successful, there will be a viability review to make sure that as much affordable housing as possible is built in the end, but says nothing about making this second viability assessment public. This is a big loophole. So what could have been a big step forward is compromised on at least three counts: the full viability assessments will be published way too late to be of any use; the benchmark value that measures viability will not be published in the executive summary; and developers will be able to reduce affordable housing after planning approval using Section 106 (A/B) applications, without having to publish their viability figures and without the public ever knowing.